10 Innisfree is a modern, well-equipped mews style cottage set within landscaped gardens with shared heated pool. 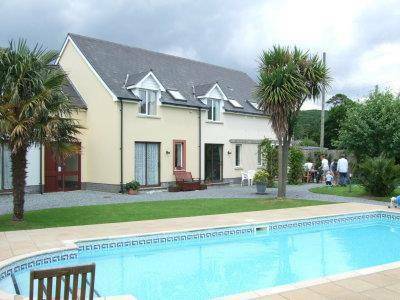 It sleeps 4-5, and is situated just yards away from a LARGE SANDY BEACH in the picturesque village of Llansteffan. This area has managed to escape the temptations of commercialism and has kept its Welsh character and charm. 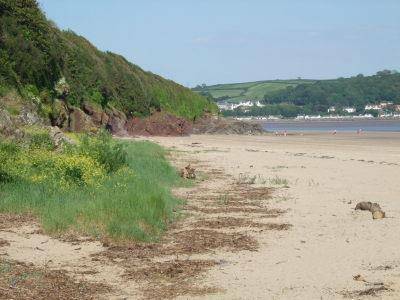 The sandy beach never gets crowded, even in the height of summer, and provides a safe playground for all the family only 100 yards from the cottage. This double glazed cottage is in a development of 16 similar properties. 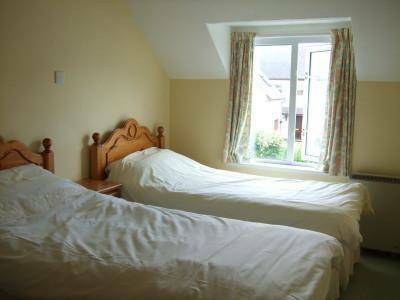 It has 2 bedrooms upstairs each with twin single beds and there is a foldout bed available if required (this bed is only suitable for a child under the age of 11 years). Also on this floor is a bathroom with toilet, washbasin and shower. 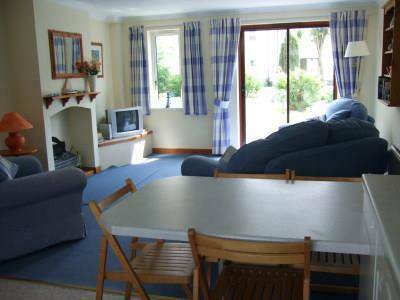 Downstairs, the cottage has a large, open plan, prettily furnished living/kitchen area. The kitchen has a table, four chairs, an electric oven and hob, a fridge with a freezer compartment, microwave, toaster, kettle iron and ironing board. The lounge has a comfortable, modern sofa and two armchairs. There is an electric fire as well as a panel heater and a night storage heater for chillier evenings and out of season breaks. There is a digital TV with freeview and DVD player. Sliding doors lead from the lounge to the patio, shared garden and pool area. Residents have the use of the pool (May to September) and the communal gardens all the year round. Please note the pool is not protected by a fence and there is no lifeguard and children should be supervised at all time. Bedding, bath mat, tea towels, dish cloth, washing up liquid and an initial supply of toilet and kitchen rolls are included in the rental. Towels (bath, hand and face flannel) can be rented a cost of £10.00 per person / week. There is a coin meter for the electricity. There is a coin operated washing machine and tumble dryer available within the complex. Parking is provided for one vehicle outside the cottage, additional cars can be parked in the free car park opposite. Regret no pets and no all male/female parties less than 25 yrs of age. No smoking is permitted in the cottage. 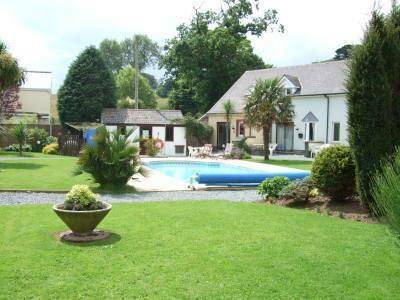 Guests should arrive after 4 pm and vacate the cottage by 10 am on the day of departure please. A 13th century Castle overlooks this delightful, friendly, coastal village located at the mouth of the river Towy. Two pubs, an excellent restaurant, serving locally caught fish, a village store stocking essentials and some specialities of the region, post office, charming tea room and a fish and chip shop are all within walking distance. This is the perfect location for a relaxing family holiday and an ideal base from which to explore the Pembrokeshire Coast and Gower Peninsular … or to simply chill out! 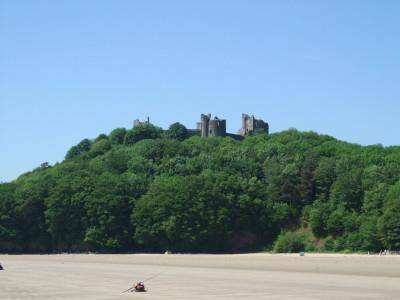 For those who enjoy outdoor activities Llansteffan has plenty to offer: sea fishing; pony trekking; golf within 7 miles and theme parks. 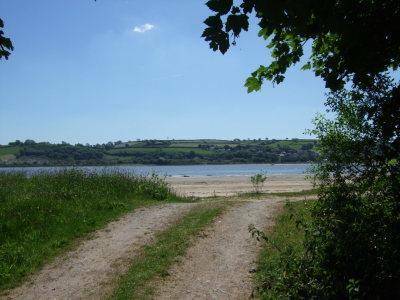 Llansteffan is ideal for walkers where one can stroll in the pretty village, quiet country lanes or the footpaths along the beach and cliff tops with views reaching as far as the Gower peninsular and the Pembrokeshire coast. For a nominal fee there is the use of the tennis courts nearby. 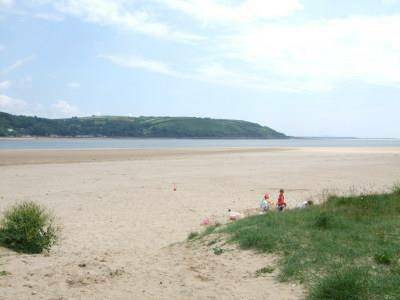 Llansteffan - one of South West Wales’ best-kept secrets.